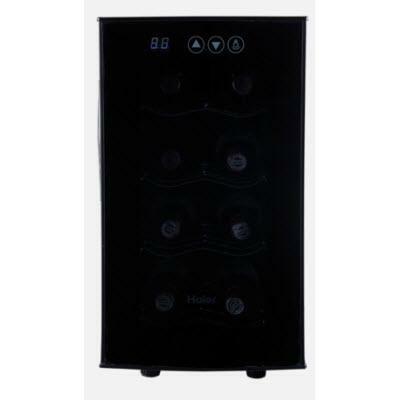 Keep more than a few of your favorite bottles of red and white wine at the perfect temperature with this 12-bottle capacity dual zone wine cellar. 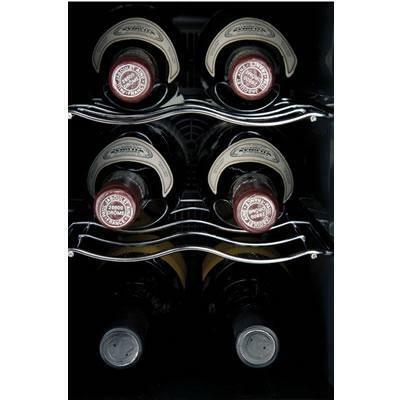 The upper compartment temperature range is ideal for red wine, while the lower compartment chills white wine beautifully. 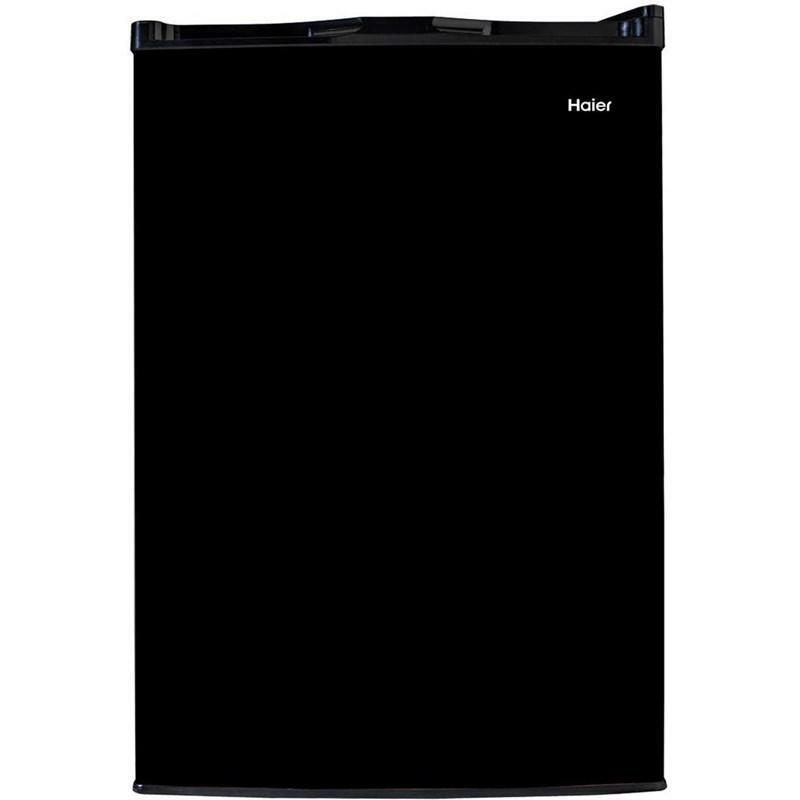 Each storage compartment features its own separate electronic temperature control and LED display. 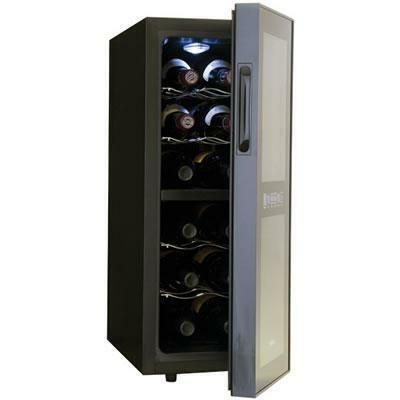 The double pane insulated glass door helps keep the interior climate consistent and the thermoelectric cooling system provides a vibration-free environment for wines. 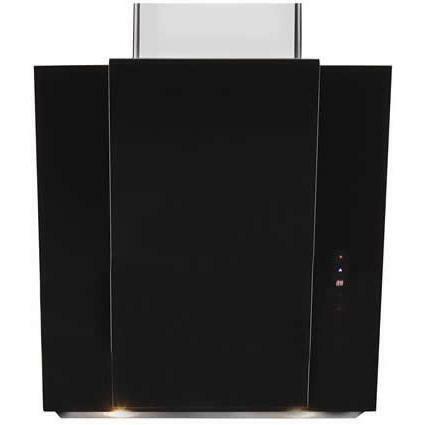 Four full-width chrome storage racks house your collection in style. Additional Information Temperature Setting Range (°F):Zone 1 54-66, Zone 2:46-66. 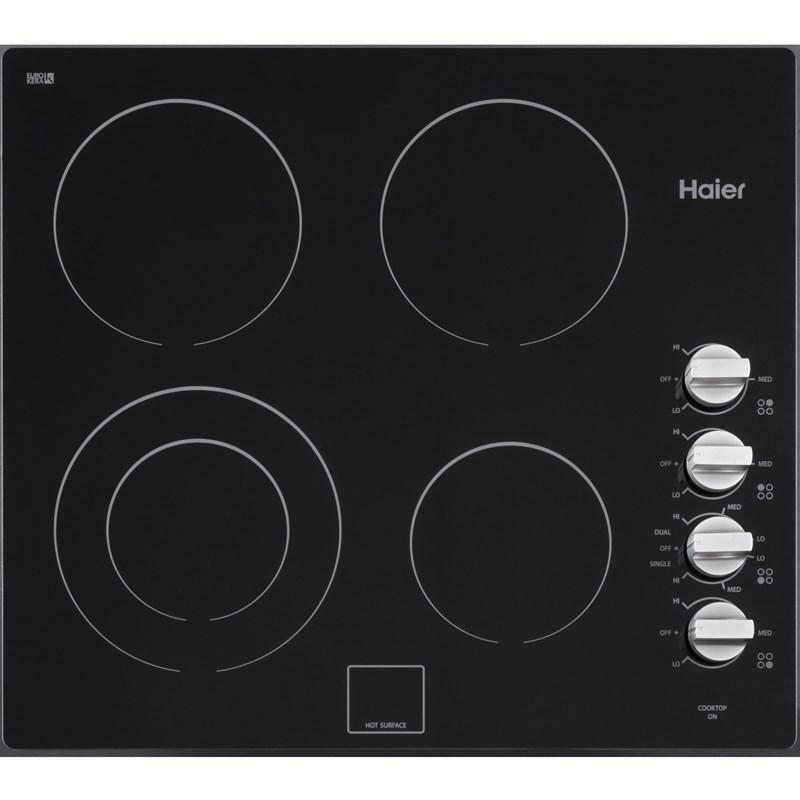 Electronic-Touchscreen temperature control. Blue LED temperature display. Double Pane Insulated door glass. Chrome Wavy Wire racks. ETL safety approval. 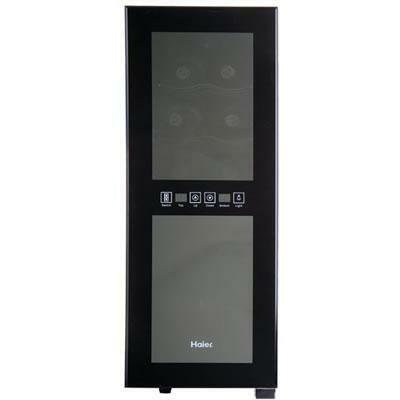 Haier 8-bottle capacity wine cellar featuring thermoelectric cooling, soft interior light and a LED electronic control display.